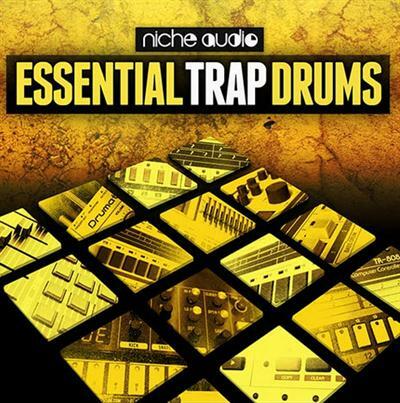 Essential Trap Drums brings you a killer collection of custom drum kits expertly formatted for both Maschine and Ableton Live. These kits are ready and waiting to provide your latest productions with the style and authenticity that our users have grown accustomed to. Essential Trap drums was created with one thing in mind - To provide you with a collection of top quality drum kits that will inspire and complement your productions. You'll find a top notch collection of expertly sampled and processed sounds including kicks, claps, snares, cymbals, hats and percussion. All of the samples in the 15 included kits are universally mapped out. This makes it simple to quickly switch out and audition different kits in your productions - instantly changing the vibe and feel in a matter of seconds. Essential Trap Drums can be the perfect companion for any Trap producer but it's also a valuable resource for anyone producing Dubstep, HipHop, Drum and Bass and many other genres. Check out the audio demos or grab one of the free demo kits and experience it for yourself. Please note that this pack does not contain any melodic content. This pack contains drum samples only.